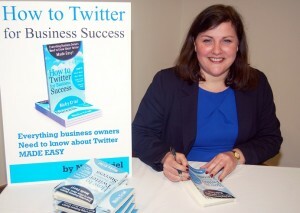 Rather appropriately I ‘met’ Nicky Kriel through Twitter and here we are doing business together! Well, to clarify, I asked her about her book and she kindly sent me a copy and I am now reviewing it – no money has changed hands. Regular readers will know that I have a policy of not rubbishing anyone’s work and only review books that I like and think will be helpful to you. Yes, I liked it and yes, I think it’s helpful! Which is strange because I am not into ‘geeky’ books at all; show me how something works in a hands on way and I’m happy. Reading about it…? No thanks. So hats off, Nicky for producing a book that is both readable and helpful to non technically minded folk like myself. 60% of Twitter users access Twitter from mobile devices and you can’t see twitter backgrounds on a mobile device. 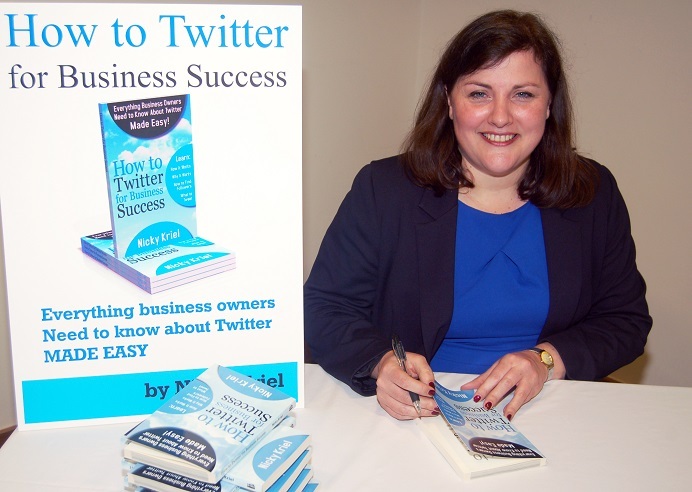 I won’t spoil your enjoyment any further; suffice to say How to Twitter for Business Success is a very easy read, well laid out, and written in an accessible style. Even if you know quite a bit about Twitter you’ll discover something new. Twitter is a tool I recommend to my licensed trainers to help them promote their RenewYou courses; I shall now be adding this book to the list of recommended reading. At under £6 a copy you can’t go wrong!